FALLS CHURCH, Va. – June 6, 2018 – Northrop Grumman Corporation (NYSE: NOC) today announced it has closed the acquisition of Orbital ATK Inc. (“Orbital ATK”), a global leader in aerospace and defense technologies. 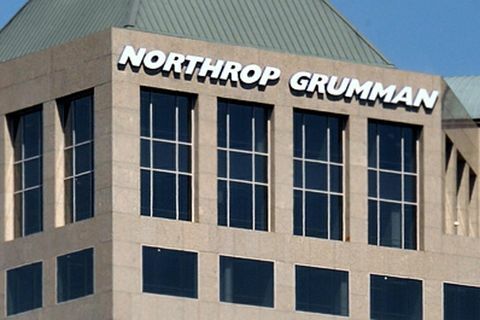 Orbital ATK is now Northrop Grumman Innovation Systems, a new, fourth business sector. Northrop Grumman’s board of directors has elected Blake Larson as corporate vice president and president of Northrop Grumman Innovation Systems, reporting to Kathy Warden, Northrop Grumman’s president and chief operating officer. Larson previously served as the chief operating officer of Orbital ATK. “We welcome Orbital ATK’s talented employees,” said Wes Bush, chairman and chief executive officer, Northrop Grumman. “We are delighted to have them join the Northrop Grumman team, and we are very excited about the value creation our combination represents for our customers, shareholders and employees. Together, through our leading technologies and innovation-focused culture, we look forward to developing enhanced mission capabilities and more competitive offerings in critical global security domains,” said Bush. Statements in this press release, other than statements of historical fact, constitute “forward-looking” information within the meaning of the Private Securities Litigation Reform Act of 1995. Words such as “will,” “anticipate,” “expect,” “intend,” “plan,” “believe,” “estimate,” and similar expressions generally identify these forward-looking statements. Forward-looking statements include, among other things, statements regarding the benefits and implications of the Orbital ATK acquisition. These forward-looking statements speak only as of the date when made, and Northrop Grumman undertakes no obligation to update or revise any forward-looking statements after the date of this press release except as required by applicable law. Forward-looking statements are not guarantees of future performance and inherently involve a wide range of risks and uncertainties that are difficult to predict. Actual results may differ materially from those described or implied in these statements based on a number of factors. A discussion of these risks and uncertainties is contained in Northrop Grumman’s Annual Report on Form 10-K and in our other filings with the Securities and Exchange Commission.